The Organic Farms is a gateway to the twin cities. An ideology to move communities from synthetic to organic living through the use of solar energy, sustainable and environment friendly lifestyles. Synthetic to organic developments are a long term investment in our future generation’s health. And the management of Organic Farms is in the driver’s seat leading the way. The future is Organic. 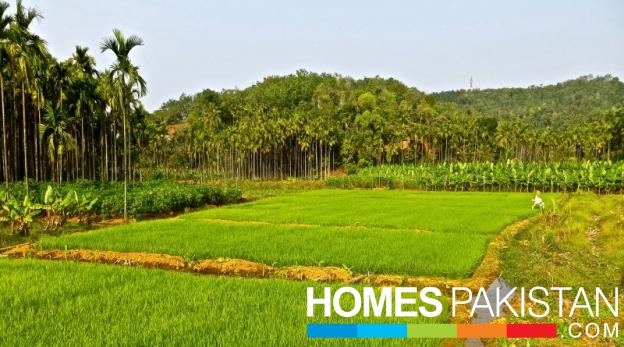 The Organic Farms is an organic commercial farming residential scheme, where natural scenery, lush green surroundings provide a life style with latest amenities. The Organic Farms is located on Chakri Interchange of ISB LHR Motorway near Cadet College Rawalpindi, Rangers HQ and Ring Road on Chakri Road, Rawalpindi. Widening of Chakri Road is underway and in the same neighborhood, mega Project of Housing Foundation and Smart City are in progress. Due to development of New Industrial Zone on the Ring Road and easy access to Motorway, this area is fast developing into future business center. New Islamabad Airport is only 20 minutes and Thulian Interchange is 5 minutes away.The land prices near the New Islamabad Airport is expected to go up fairly quickly. Pakistan International Airline (PIA) has already started operations from the New Islamabad Airport. 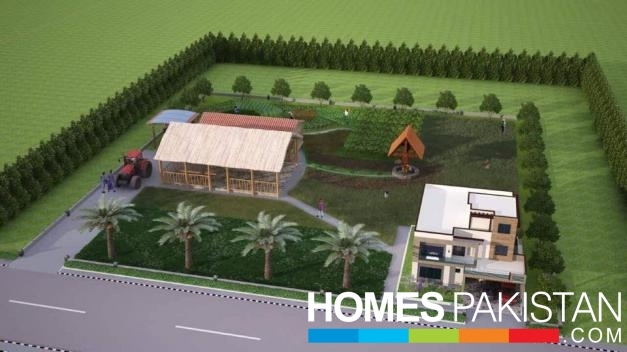 The Organic Farms Islamabad believes in providing comfort and luxury to masses.A gated community making it secure and safe for families, located on prime location of Islamabad next to CPEC Economic Zone Islamabad(CPEC), New Islamabad Airport, Ring road Islamabad and lush green area, modern infrastructure, community enhancement, 24/7 security makes it perfect fit for your family. The organic Farms Islamabad covers every need of residents whether you are an adult, a teen or a child or as mature men and women. Luxurious facilities within community can easily take care of any pent-up stress due to rush hours. 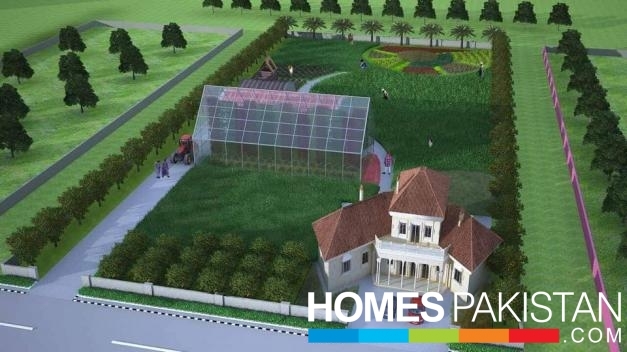 Elegant housing plan and modern state of the art facilities ranging from hospital, school, mosque, parks, shopping mall, food street, zoo and a huge sports complex with indoor and outdoor sports like bowling, swimming, golf, snooker and many more within the gated community allowing you and your family to utilize the basic needs and enjoy luxuries of life in a secure stress-free environment. 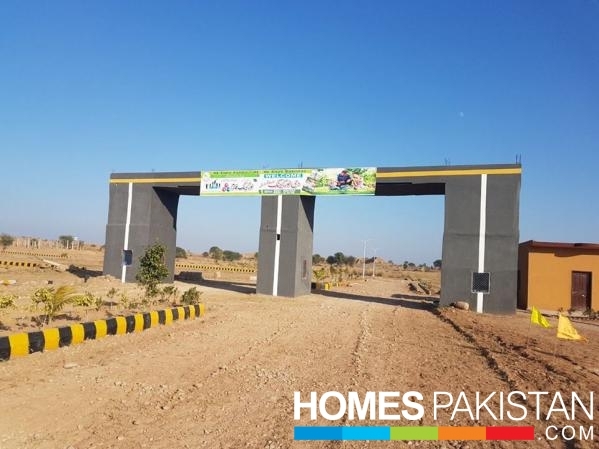 Project location is being executed near to twin cities in such a way that one can easily reach from motorway Islamabad (especially overseas clients after departing new Airport). 24/7 surveillance / Gated community. Hospital and 24 hours free ambulance service.